I worked along side the owner on the setup and deployment of this specialized auction website for EDC (Every Day Carry) tool aficionados who had recently felt alienated by the big auction sites lately due to strict policy changes. I modified the theme to suit, and came up with a suitable logo for the project. 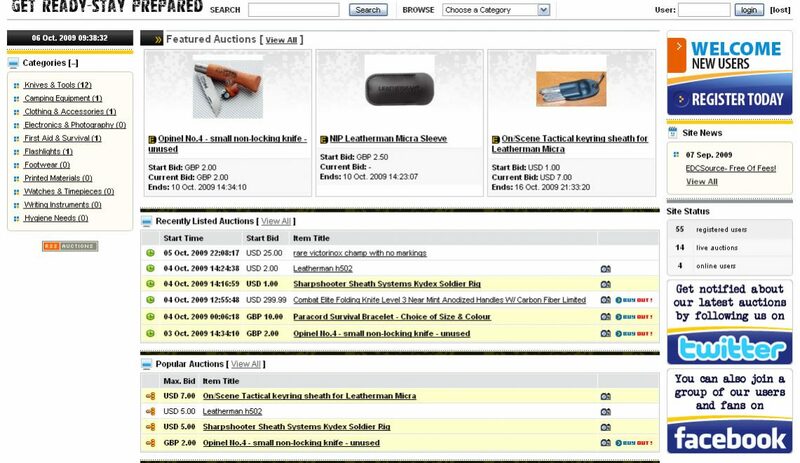 Besides setting up the core auction software, several customizations and modifications had to be integrated to bring the site to a different level. In 2016 an updated version of the back end was implemented to bring in more mobile friendly designs and the usual bug fixes and other miscellaneous added features. 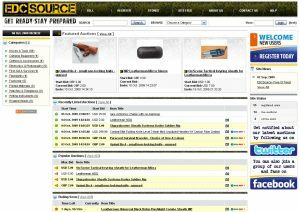 In 2017 this site was retired due to a change in direction, replaced with the Multitool.org Store rather than an auction website.